At my daughter's dance class this week, a classmate's mom told me she had recently vacationed at the Marco Island Marriott Beach Resort, Golf Club, and Spa. She gave it rave reviews. She also told me she thought of me while she was there, and wanted to tell me about the hotel as soon as she got home. That makes me giddy. I always love to hear that my writing and love for hotels inspires others to think of me when they are traveling. I've had drinks at this particular hotel, but have never stayed there. I like Marco Island and would love to go back with the family. I also fell in love with Naples, too. My friends were married on Marco Island in 2004 so it's been awhile since I've been to the area. Once I left dance class, I immediately went to see if the hotel had an Instagram account. This week's IG photo is courtesy of the @MarcoMarriott IG account. The hotel has a great account. "How dinner on the beach should be done. 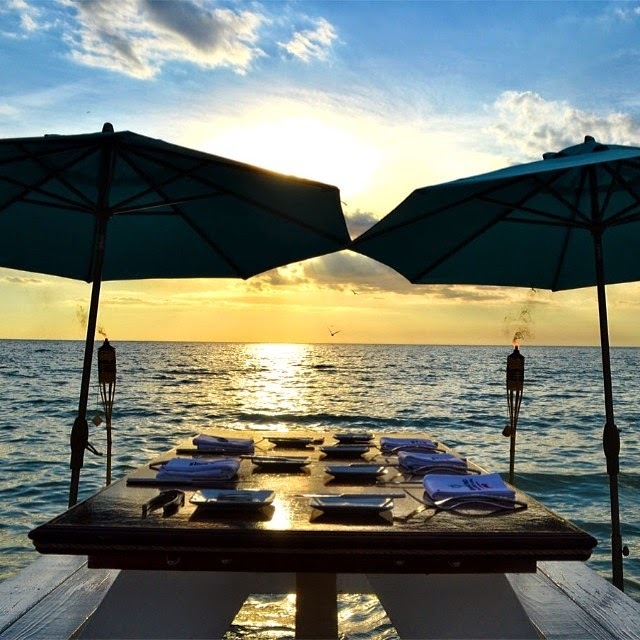 .#dinnerOnthebeach #wineanddine #beachfront#sunset #romantic #florida #whitesandybeaches"
OK. That photo makes me want to have dinner on the beach. How about you? They also have a good coffee photo, and good drink photos. You know I love that. Link up with us this week. If you don't have a blog, just use the hashtag #IGTRAVELThursday on your photos on Instagram.